I used to take art lessons and some of my drawings and paintings were pretty good, thanks to guidance from a very good art teacher, but she stopped teaching after a few years, which was very disappointing. I quit drawing after the lessons quit, but last summer I decided I wanted to start again. 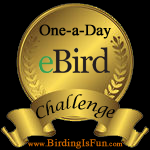 I want to go be able to draw an identifiable field sketch, and good drawing, or painting of the birds I see. 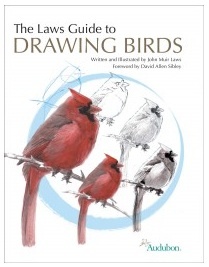 Last summer I learned about a new book coming out on drawing birds, The Laws Guide to Drawing Birds by John Muir Laws. It sounded promising and then I saw that David Sibley had written the forward so I was especially interested, because I love Mr. Sibley’s art! 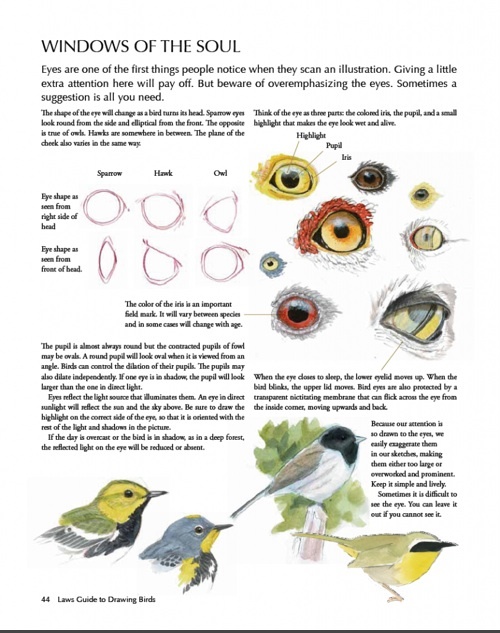 The Laws Guide to Drawing Birds is published by Heyday Book and supported by the National Audubon Society. I was hoping to receive the book for Christmas and I did (thanks, Mom)! It was one of my favorite presents, and I couldn’t wait to start reading it. Mr. Laws is a wonderful artist which intimidated me a bit when I first started the book. My first thought was, maybe I should rethink my idea of learning to draw, but from the beginning Mr. Laws explains everything very simply and with great detail. 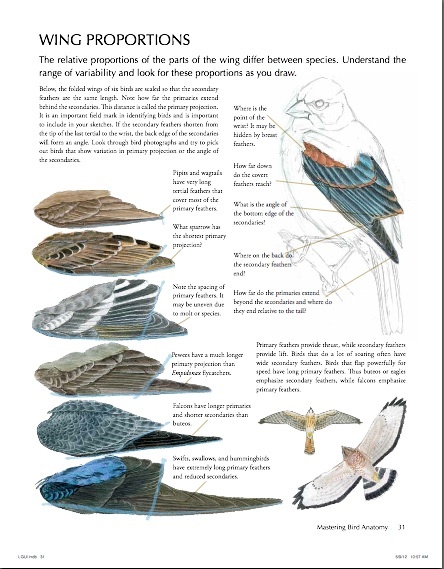 The book gives step-by-step instructions for drawing a couple of species (warbler, ruddy duck, sparrow); tricks on correct leg position and angle, a detail I’ve struggled with before; help on drawing tails; and much more. It’s also fun to go through the book and look at the beautiful drawings. The book is very well put together and it’s very visually appealing. Because our attention is so drawn to the eyes, we easily exaggerate them in our sketches, making them either too large or overworked and prominent. Keep it simple and lively. Sometimes it is difficult to see the eye. You can leave it out if you cannot see it. I never before thought you could leave out the eye, but now I know otherwise! I haven’t started any drawings yet, because I’m reading through the whole book and want to make sure I can learn as much as I can before I start. But this will likely be my go to book for drawing birds, and I highly recommend it to anyone who would like to learn how to draw birds, or brush-up on rusty skills! 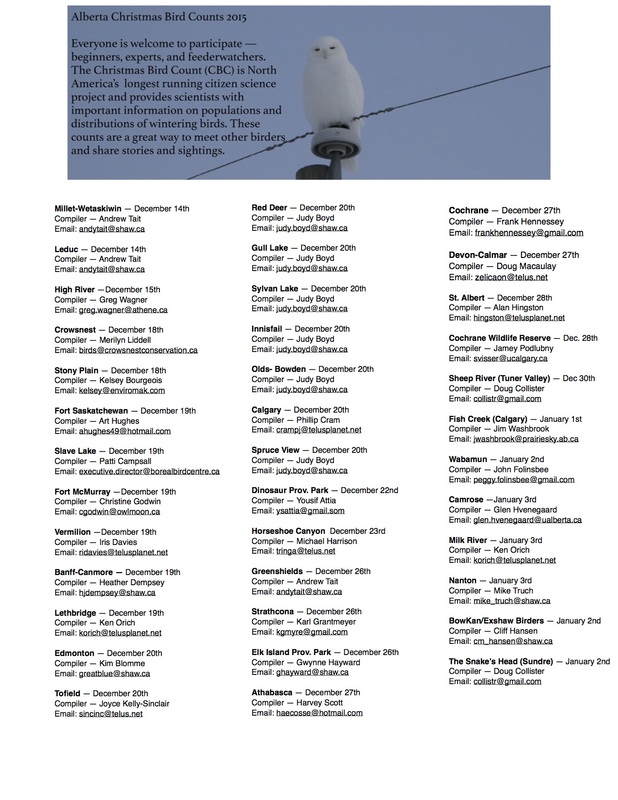 You can buy it from John Muir Law’s website, from Heyday Books, or from your favorite bookseller.